Insiders know that there are just so much more to Edmonton, Alberta is known around the world for its beauty and as the home of the intensely beautiful Canadian Rockies. It is in the little treasures that the real dramatic beauty hides waiting to be savoured and once you discover the hikes amongst the hoodoos, the frozen waterfalls, endless sand dunes, water sports, picnics in the pines and the horseback riding, you’ll understand why the locals say there is no end to the beauty of the splendid Yellowhead. The municipal district of Brazeau is wrapped around the Yellowhead County and Drayton Valley, which lies west from the Rocky Mountains prairies. The incoming manager of economic development, Kelly Starling, says the wildness is closer and for those who wish to get to the water, rivers, camping and trees, it is only an hour and a half drive from Edmonton. The rivers, reservoirs and forest of Brazeau attract plenty of outdoor enthusiasts every weekend, which got the MD to extend an invite to the commercial tourism developers to partner with the province. There can never be enough tourism products in Brazeau, Starling explained. What the county is looking for is resort developments such as campgrounds, cabins, lodges, eco-tourism, canoe trips, operators to guide tours on horseback, motorized vehicles and quads near the Drayton Valley area. Starling also reminded companies that the campgrounds are packed every weekend and that it offers an amazing opportunity to tourism companies. 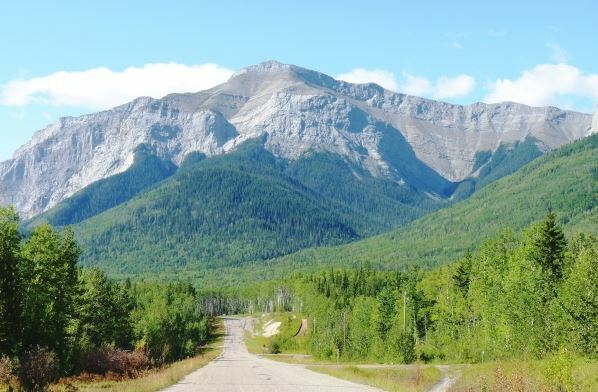 Yellowhead also seeks long term developments and planning has already stared in Cougar Rock near the Airport Road as well as in the Overlander and Maskuta Creek nodes, close to the gates of the Jasper National Park, each of the nodes is 1,400 acres in size. The Overlander node is perfect for dirt biking and quad biking since it features the Brule sand dunes, meanwhile, the people who call Yellowhead home are extremely passionate about their beautiful area and maintaining it. The partnering of the county with Foothills Recreation Management Association draws people away from random camping since it offers a wide range of well-maintained camping grounds available at a minimal fee that includes firewood. Structured plans are in place for the area and these offer multiple opportunities, while the Cougar Rock area needs a hotel, golf course, condos as well as convenience stores, restaurants, and various other facilities and activities. The plans for Overlander area are also in process and this area is also in need of condos as well as a golf course. The opportunities for tourism are endless, which offers investors and developers the perfect opportunity. There exists great history in the general store and pioneer homes in Cadomin, while the mining community served the Alberta Grand Trunk Railway and the Coal Branch, now it is pretty much ghost towns. Still, it offers a sense of excitement, it is the perfect area for adventure tourism and Starling agrees that it could offer all the outdoor activities one can imagine.